Today I wanted to share a little Valentine's Day tradition we have here at the Coake house. 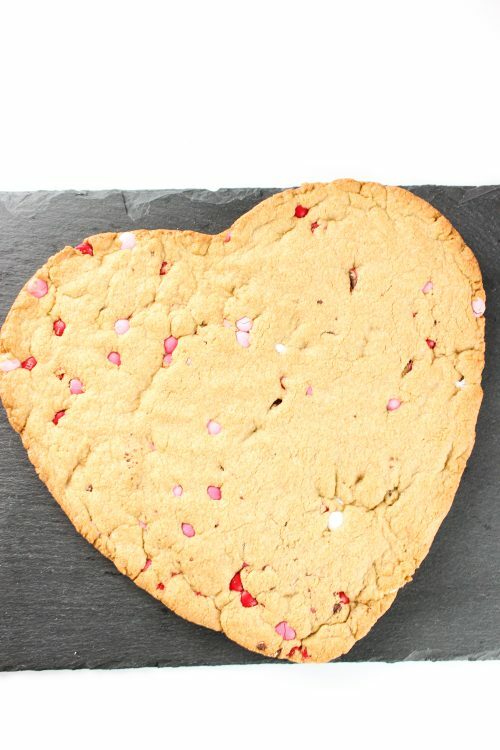 I make this cute heart-shaped Chocolate Chip Cookie every year. This year, I decided to change things up just a little bit and made some individual Chocolate Chip Cookies in addition to my big cookie. I know the cookies I make are not Pinterest perfect or super amazing, but it is a fun tradition that my girls and my husband look forward to each year. 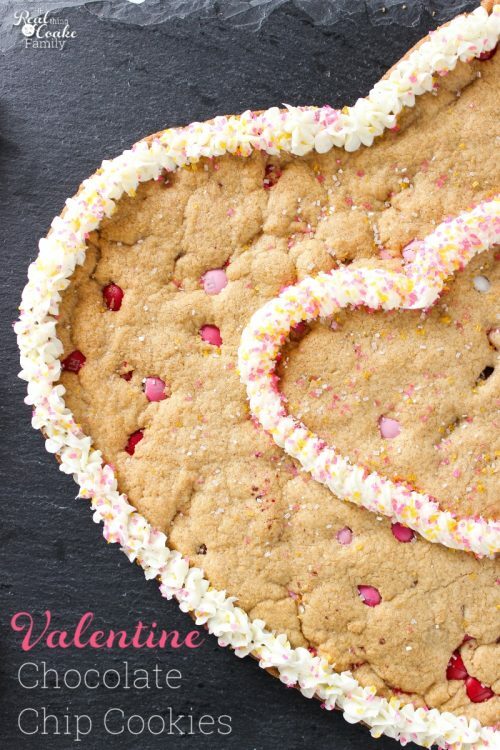 Even though I'm no professional cookie decorator, I still wanted to share this little tradition and recipe with you because, in my book, it is the little things that add up to making a day or holiday special for my family. They don't remember or care that the cookie isn't all perfect. They eat it and say it is yummy. They usually say I did a good job and it looks pretty. They remember it each year. They know I thought of them and did something for them. That is what it is about to me. How about you? 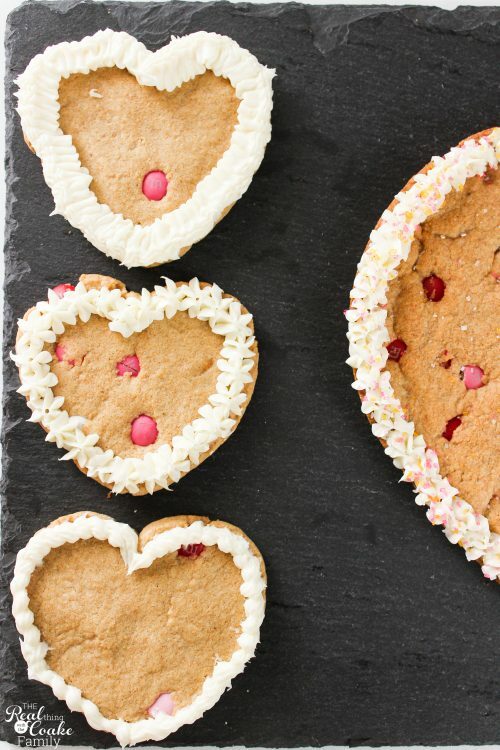 Once your large or individual heart cookies have baked. Cool them in the pan for about 15 minutes. Remove from the pan. 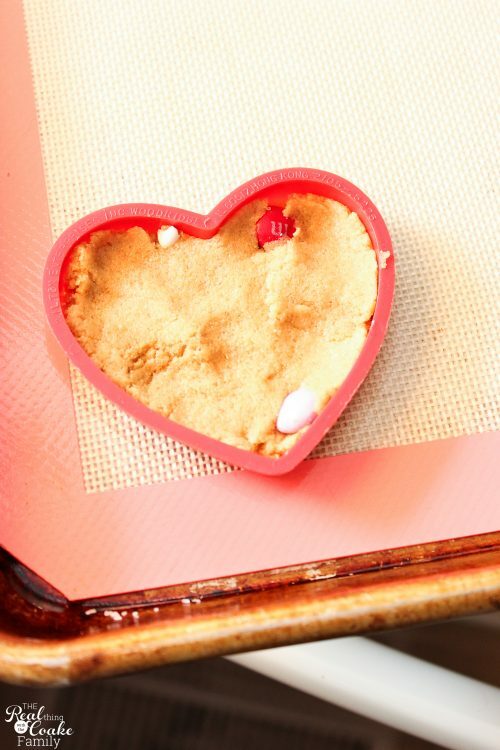 You can decide if you prefer to decorate the top or flip the cookie over and decorate the bottom. I've done both. This year, with the Valentine's M&M's in the mix, I thought it looked better to decorate the top where the M&M's showed up more. Now listen, I'm not a professional decorator….AND yes it totally shows. I've gotten by with my Pampered Chef Easy Accent Decorator for years and faked people into thinking I know what I'm doing, but I've been through 3 of those now and they seem to always break on me. I also wanted to give using a real piping bag and decorating tips a try. Since Cake Boss sent me a whole bunch of supplies last year, I now have a great set of decorator tips and piping bags. I've been slowly giving them a try. I did a quick Google search to figure out what each decorating tip could do and I selected 4 to give a try on these cookies. I also found this great cheat sheet with a bunch of them listed and pinned it to my Real Parties Pinterest board. My favorite tip that I tried was 193. I used it on the top cookie pictured above as well as on the outer edge of my big cookie. At the bottom of the picture above, I used a #18 tip and kind of swirled it in a loop to make the effect you can see. I would get going well with that one and thought it was really pretty, but for me it was also easy to get out of the rhythm and mess it up. 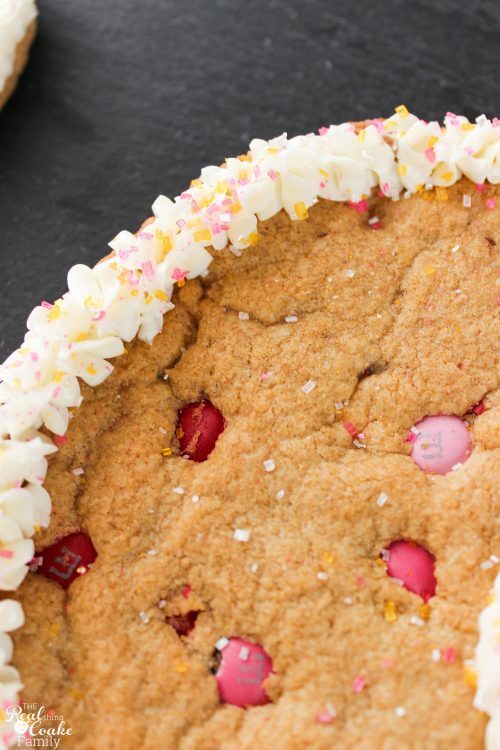 For the big cookie, I added some fun sprinkles I had on hand. To add to the fun, I popped the individual cookies into the freezer to harden the frosting. 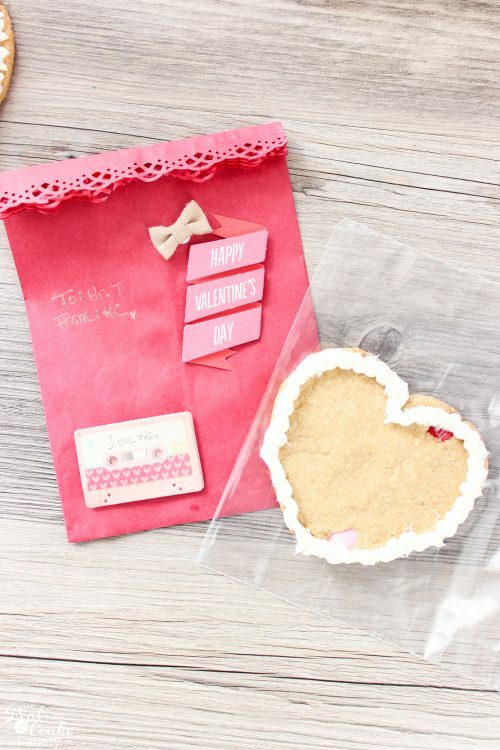 I place them in a zipper bag and put them in these cute Valentine's Day treat bags I made with supplies from the Target One Spot. It made the whole thing just a bit more fun for me because I love making little things like this. It made it a lot more special for my family. Yay! Oh yeah…and it was YUMMY! It is every year! Chocolate Chip Cookies with frosting are just so stinkin' yummy. So seriously, for both the cookies and the bags it was about a 1-hour investment. For less than $10, I've created a family tradition that my family looks forward to each year. Like I said, it isn't perfect, but it is low-cost, is fun for me to do for my family, and makes my family and the holiday feel just a little more special. Love it! 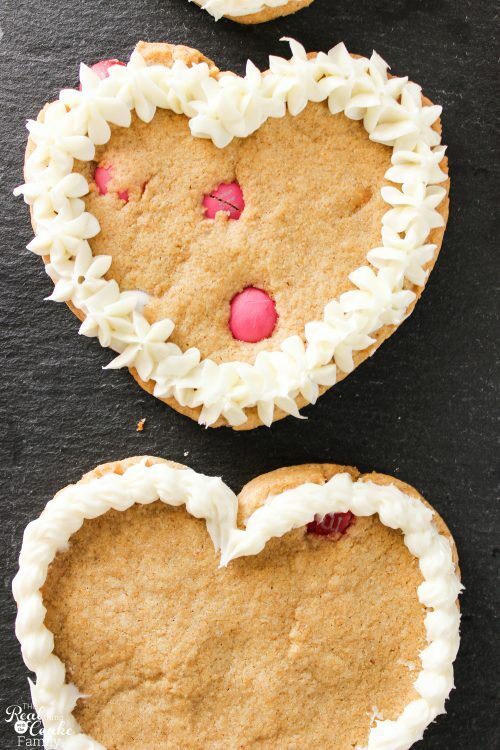 Do you have a simple and inexpensive Valentine's Day tradition? Leave me a comment below. I'd love to hear. 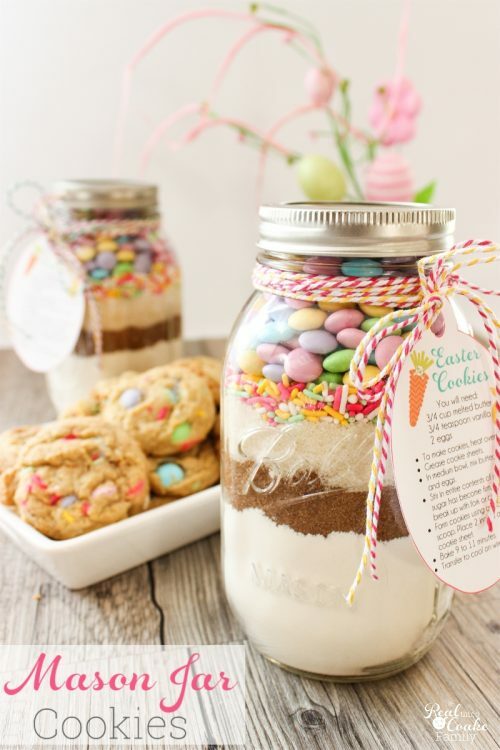 These are so cute, but I’m wondering if you’re saying chocolate chip cookies when you really mean M & M cookies. 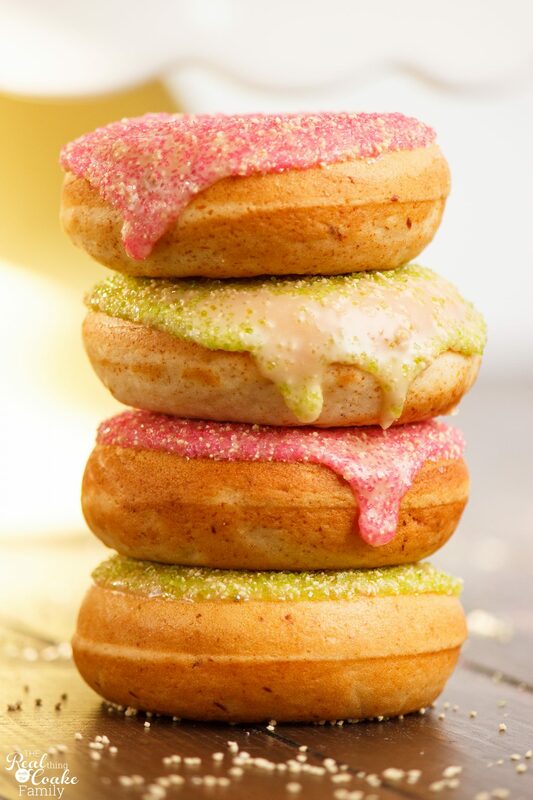 Either way, they look delicious and I’m making them for my granddaughters! You are so right! I usually make these with chocolate chips and it never even occurred to me until you commented that they weren’t chocolate chip cookies. I guess that is what making something for years and modifying it does to my brain! Sorry for the confusion. They are delicious either way and if you want chocolate chip rather than M&M’s, use the same amount of chocolate chips.